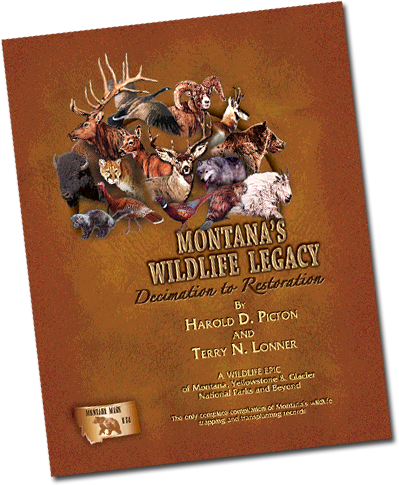 Montana’s Wildlife Legacy ~ Decimation to Restoration is a historical wildlife book providing the most complete written reference of Montana’s wildlife legacy. The book documents how exploitation and technology brought the legendary wildlife resources of Montana to the brink of extermination by the end of the 19th Century. 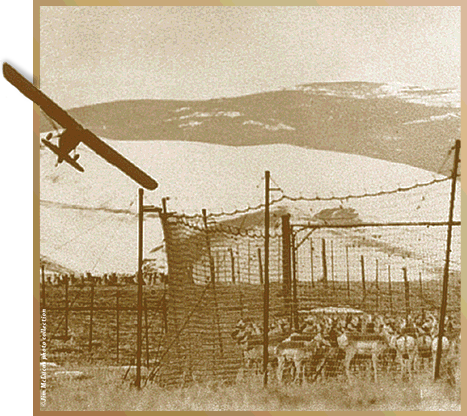 This led to major wildlife restoration and conservation efforts during the 20th Century. As we enter the 21st century, Montana is blessed with exceptional wildlife resources. 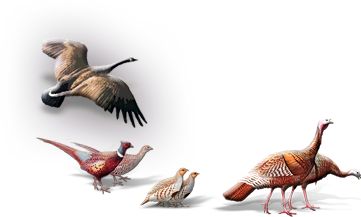 Pheasants, Turkeys and Hungarian partridge were successfully introduced, while Canada Geese were restored. Restoration successes included big game, waterfowl, furbearers & nongame. The book is visually appealing with 304 pages printed in full color and over 600 illustrations, maps and historical photographs, many never before published. Included are interesting stories provided by numerous individual interviews of Montana’s wildlife pioneers and sportsmen. Documented for the first time, this is the only complete record of thousands of Montana’s wild animals trapped and transplanted, dating back to the early 1900s. Montana’s Wildlife Legacy – Decimation to Restoration was co-authored by Dr Harold Picton, Emeritus Professor of Wildlife Management in the Ecology Department at Montana State University, and Terry Lonner, Retired Chief of Wildlife Research and Technical Services for Montana Fish, Wildlife & Parks. Together they provided over 90+ years of combined professional wildlife and conservation experience while researching and documenting the decimation and restoration of Montana’s wildlife.